SICILY! And more EXPLOSIVE excitement September 19! September 19, 2012 I will definitely be doing wine related activities. And lots of wine tasting. And yes, a lot of spitting too. First, I was invited to join the September 19 Thirsty Girl Twitter Tasting of Handcraft Wines. Then I was invited to join the next Cafe 140 Twitter Tasting. Then I received an invitation to an industry tasting of the San Francisco International Wine Competition award-winning wines. All on the same day. Fortunately, September 19 is a day that I can devote to wine tasting. Then, on Wednesday morning, as I was preparing to run some errands and then post about #CabernetDay and #PinotSmackdown, I checked my email and saw one from Elisabetta Tosi, a wine blogger and the Italian Ambassador to Palate Press. 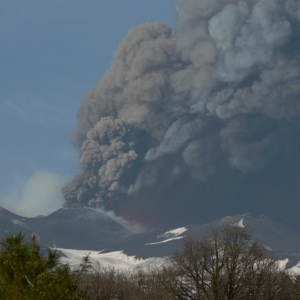 She was writing to invite me to join a wine blogging tour of the Mt Etna wine region in Sicily. In two weeks. September 19-23. Organized by Consorzio Tutela Vini Etna D.O.C., in collaboration with Fermenti Digitali and with support of Camera di Commercio di Catania, this is a tour for wine bloggers organized by wine bloggers. How cool but…no way! I had to teach, I had to write papers for grad school, who would get my kid to school…and how could I get a flight at this last-minute that would fit their budget? So I headed off on my errands. And then it hit me–ITALY! WINE! VOLCANO! YES YES YES YES YES! Of course, YES! What in the world was I thinking? Of course I could make it work in order to go to Sicily and learn about and taste wines grown on the side of THE MOST ACTIVE VOLCANO in the WORLD! I did a bunch of research. And that made me want to go even more to taste these wines that are getting a lot of attention! And I figured out how to put all the pieces together–except the flight part. There were no flights available for 500 euros. It was going to take 1000 euros to get this California girl onto Sicilian soil. 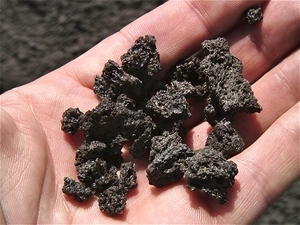 The bad news is, this September 19 I’m not going to be tasting and writing about wines grown on Mt Etna. The good news is, they plan to invite me on the next trip planned for spring or possible fall 2013. Which will give me more time to prepare for the trip. And I’ll be home in California September 19 tasting and tweeting away. You’re invited to join in the fun: you can subscribe and read about my adventures in wine and you can pick up the wines we’ll be tasting. I’ll get a blog post up about the highlights of the award-winning wines from THE SAN FRANCISCO INTERNATIONAL WINE COMPETITION, the largest and most prestigious wine competition in the United States. The San Francisco International Wine Competition took place June 15-17, 2012 at the Hotel Nikko San Francisco. 4556 wines were submitted from 29 countries and 26 states. For a complete list of Double Gold Winners from the 2012 San Francisco International Wine Competition, click here. In the meantime, here’s a blog post with highlights from the San Francisco International Double Gold winners tasting two years ago. Oh and Annie AnyDay is going with me to taste and help take notes in LA, but let me know if you want to join us for the Twitter tastings! 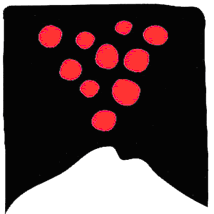 Art Predator has been invited to go on the prowl on the slopes of Mt Etna in search of wonderful wine!